The main Fibromyalgia Cause being promoted on TV and websites right now is "Overactive Nerves"- this is just silly. Overactive nerves leading to the experience of pain is a SYMPTOM of a problem, it is NOT a fibromyalgia cause. But the REAL question is "What is causing the Overactive Nerves?" in the first place. The FibroCenter.com website run by the drug company Pfizer, would have you believe that overactive nerves just 'happen' for no apparent reason- and the only solution just happens to be their drug. These websites, pharmaceutical companies and chat rooms come from a place of fibromyalgia being an 'Incurable Disease'. It is NOT!! Read the page on Symptoms of Fibromyalgia and you will better understand that the collection of symptoms that doctors call Fibromyalgia is a SYMPTOM of something else and NOT a disease. This site will talk about the underlying Fibromyalgia Cause, WHY you have these fibromyalgia symptoms, and what you can do about them. There is also a new 'Fibromyalgia Test' on the market that is claiming to be able to diagnose fibromyalgia accurately through analyzing "patient white blood cells... and the expression levels of immune system cytokine and chemokine patterns found to be altered in patients with fibromyalgia" according to the Fibromyalgia Test Brochure. They are basing their test off of several studies, one entitled Cytokine Patterns in Fibromyalgia, that highlight findings of an inflammatory response in Fibromyalgia patients. While this is certainly consistent with what we discuss here, finding an inflammatory response in a disease almost goes without saying, since there are almost no diseases that are not inflammatory in nature. I have my doubt about the accuracy and utility of the fibromyalgia test, but even if it is accurate, it seems more like a RESULT of the underlying problems, rather than a fibromyalgia cause. If it's accurate, this still puts this information in the hands of traditional doctors who will certainly simply try to suppress this inflammatory and immune response, such as they do in Rheumatoid Arthritis, rather than try to find and solve the core underlying problems. What is the Fibromyalgia Cause? While the fibromyalgia cause is different for each individual,Fibromyalgia Studies show that there are a group of problems that generally will apply to the majority of people with fibromyalgia- including YOU. While there seems to be a small but unconfirmedFibromyalgia Genetic connection, it is much less important than how each fibromyalgia cause ends up playing one upon another in a downward spiral of problems that contributes to the worsening of other problems. What is VITAL to know is that Fibromyalgia is not 'incurable' as most doctors will tell you. If you can stop the downward spiral of worsening problems then you CAN start improving and have hope for a normal life. This page will help you not ONLY to understand the fibromyalgia cause, but will show you how you can reverse these problems in order to improve your condition. While this is important for adults, Fibromyalgia in Children is being diagnosed more and more often without any consideration of the underlying Fibromyalgia Cause- and giving CHILDREN a diagnosis of an incurable disease that dooms them to pain for the rest of their lives. Most doctors (and the drugs that they prescribe) don't address Diagnosing Fibromyalgia from a stress or nutritional deficiency perspective. "Here, take this antidepressant" or "It's all just in your head" are frequently heard sayings from medical professionals. In one sense, they ARE right; on a basic level, you are likely to experience stress more severely and acutely than the average person. But this is only the surface problem. You DO need to learn to deal with stress better, but there are a lot of REAL problems in your body that are not only a RESULT of the stress, but also contribute to MORE of the stress that doctors just don't recognize despite the research. Oxidative stress is the technical term for what happens in your body when you experience stress of any kind. Oxidative Stress and Fibromyalgia is REAL and is part of what causes the overactive nerves fibromyalgia issue - as well as causing other severe damage. If you have heard of the term 'free radicals', these are particles that are released when any type of stress occurs. Oxidative stress is the PRIME reason that there is so much discussion about 'Anti-oxidants'. Anti-oxidants and other Fibromyalgia Supplements counter oxidative stress; but in fibromyalgia, simply eating extra broccoli is not going to help much (although it's still a good idea). Vitamin C Supplements - with Ribose as a bonus for muscle weakness. In doses that you are just simply not going to get in foods. Oxidative stress is one of the causes of the pain, fatigue and Fibromyalgia Trigger Points. If you want to feel better,you MUST address oxidative stress as a fibromyalgia cause. Read more on the Stress and Fibromyalgia page. Another Fibromyalgia Cause is Adrenal Gland Fatigue. Adrenal gland fatigue plays an extremely important and well-researched – yet almost completely ignored- role in chronic fatigue and fibromyalgia. Studies show that this is a big fibromyalgia cause that seems to stem from adrenal glands that are smaller than average. During induced stress, the adrenal glands have a blunted hormonal response as well. In other words, you generally have a harder time responding to stressful situations. Whether this is due to having smaller and less active adrenal glands to begin with or because of high rates of stress over many years, no one is really sure. Fortunately magnesium is powerful support for the production of adrenal hormones and, along with a Melatonin Supplements, high dose magnesium is one of the best ways to improve sleep patterns. Magnesium is absolutely essential and is one of the most underrated nutrients for the improvement of Symptoms of Fibromyalgia. In fact, there is SUCH a strong connection between Fibromyalgia and Magnesium that it has it's own page! It is nearly CRIMINAL that doctors are not ruling out Vitamin D Deficiency as a Fibromyalgia Cause. This simple vitamin deficiency can be the SOLE cause of the body pain, nerve pain, fatigue and brain fog that are thought of as Early Symptoms of Fibromyalgia. Vitamin D Deficiency is found SO OFTEN and causes symptoms SO MUCH like fibromyalgia that you should INSIST on getting your Vitamin D Level checked. I really can't tell you how important this is, so let me repeat this in a different way. The Fatigue and Pain From Vitamin D Deficiency can look EXACTLYlike fibromyalgia symptoms and your vitamin d level MUST be between 50 to 80 ng/ml before you can determine whether or not your symptoms are due to vitamin d deficiency. Sometimes this may take up to 10,000 IU's of vitamin d per day for several months to achieve these numbers!! 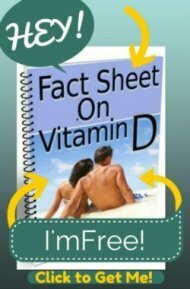 Please download the Fact Sheet on Vitamin D for an at a glance comprehensive guide to EXACTLY what you need to know about vitamin d and the EXACT steps and information you need to get your levels at their optimum. Do NOT 'Assume' that you already get enough vitamin d because you get 'plenty' of sun and drink 'lots' of milk. If your level is not between 50 to 80 ng/ml, then you are not getting enough vitamin d. Period. 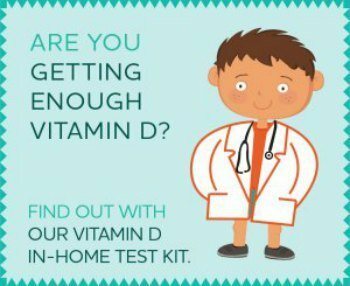 Get your Vitamin D Level checked and get your levels where they belong. Malabsorption of nutrients is another one of the biggest unrecognized Fibromyalgia Cause that is really at the heart of your problems. Most people with Fibromyalgia Symptoms not ONLY have higher nutritional NEEDS, but they also have malabsorption- making the problem even worse. 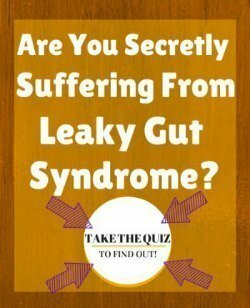 This malabsorption is due to several different things and is part of the downward spiral of problems leading to more problems. These problems are the reason that you are likely to have a multitude of nutrient deficiencies- many of them unrecognized. There are dozens of nutrients that you could potentially be deficient in that your doctor will never test you for or that tests don't even exist. High doseFibromyalgia Supplements can help to address these issues and replenish missing nutrients. While doctors recognize Celiac Disease, a severe form of gluten intolerance, as really the only reason that anyone could have nutrient malabsorption, most people with Fibromyalgia Symptoms have Non Celiac Gluten Intolerance along with other food allergies. If you have not addressed food allergies, then you really MUST get on a program that avoids the most common food allergies while NOT substituting them with allergy free junk food. I recommend that you read and implement the strategies from The The Healthy Urban Kitchen ASAP. This is the 'easiest' and best program for teaching you how to eat simple and basic real whole foods that will help you to decrease the inflammation and promote the best possible absorption. The mitochondria are the primary producers of energy in the body. Often called the 'Power Plants' of the body, there are mitochondria located in the very center of each and every cell. Without the healthy functioning of the mitochondria, you get Symptoms of Fibromyalgia and other symptoms that are essentially completely disabling. Many of these nutrients have been studied in those with fatigue or fibromyalgia- sometimes with EXTRAORDINARILY POSITIVE results. Just like vitamin d, a deficiency in even ONE of these nutrients can cause the EXACT symptoms of fibromyalgia and can be THE main Fibromyalgia Cause in certain people. Those with Symptoms of Fibromyalgia are often extremely overloaded with toxic substances. There seems to be a genetic PREDISPOSITION in certain people that leads them to have difficulty in getting rid of Environmental Toxins or even natural substances, such as in the case of MTHFR Gene Mutation. Detoxification is actually a quite complex process that involves many stages and many body pathways in order to convert one substance into another and then excrete it from the body. It is not a well-known fact that the process of detoxification requires nutrients, and missing evenONE of the required nutrients is going to halt this process entirely, overload the liver and lead to worsening toxicity. These toxins then build up in the tissues and lead to a pain that is EXTREMELY similar to the toxic build up that is seen when someone lifts weights really hard when they are not in shape. The difference in the pain of Fibromyalgia is that this pain doesn't go away. But the cause of the painful Fibromyalgia Trigger Points and muscular pain- toxic build up in the muscle tissue- may actually be the same. But because people with Fibromyalgia Symptoms have detoxification problems, this Pain Causing Dynamic remains and continues to worsen symptoms. While almost no one in the medical field 'believes' in the use of nutrients to help Fibromyalgia Symptoms, the research says differently. Studies on individual nutrients and nutrients in combination have had DRAMATIC results on those with this supposedly incurable disease. Click below to see already answered questions about Fibromyalgia. Could my fibromyalgia flareup be something else? Is My Chronic Pain Fibro? Fibro causing vibration in body? Fibromyalgia vs Tendonitis and Neurologic Symptoms?